Do you want to become a leader and be equipped with leadership skills for transformation of organisations and society? Do you want to get the tools to become a better leader? Do you want to be a leader of leaders? Do you have a vision for leadership? If your answer to the above questions is in the affirmative, then you are a candidate for the Centre LSD Leadership School. The school will run for a period of one year (May, 2013-April, 2014) for the fifth set of students. The first set of students graduated on 17th April, 2010. The second set graduated on 14th May, 2011. The third set will be graduated on 28th April 2012. The fourth set of students will graduate on 21st April, 2013. At the school, there are a lot of presentations, group work, interactive sessions, coaching, mentoring and assignments to be supervised by the Faculty but physical meeting takes place every third Saturday of the month from 10.00am-2.00pm. A maximun of forty students will be admited for this session.Participation in the school is free but students are expected to buy at least ten textbooks on Leadership(not supplied by the Centre). Certificate of participation will be given to students who complete the necessary attendance(at least 70 percent) and assignments. Interested candidates should send a write up on why they want to participate in the Centre LSD Leadership School and send to Ms. Ngozi Izuora, Programme Associate, Centre LSD (ngozi_izuora@yahoo.com and info@centrelsd.org) to reach her on or before 1st March, 2013. The importance of leadership for the success of organizations and nations cannot be overemphasized. Some scholars have pointed out that everything rises and falls on leadership. [i] Despite this recognition, there is scarcity of leaders all over the world. According to Myles Munroe, the world is filled with followers, supervisors and Managers but very few leaders. [ii] However, it is possible to train leaders. It has been proven that leaders can be trained to become top strategists who will be able to envision the future and help to map out strategies on how to get there. [iii] Additionally, leaders can be trained to manage for success through people, policies, programmes and principles. The Centre LSD Leadership School is set up to train leaders by attempting to unravel the complexity of leadership and offering a framework that will help people to become great leaders. At the end, we hope to produce leaders who will know how to mobilise others to get extra-ordinary things done in organisations and nations. They should now be able to transform values into actions; visions into realities; obstacles into innovations; separateness into solidarity and risks into rewards. [vi] The school is meant for people who are motivated to become leaders and want tools to become dynamic, strategic and visionary leaders that will transform organisations and nations. The African Centre for Leadership, Strategy and Development (Centre LSD) is a non-profit, non-governmental organisation established under Nigerian laws to build strategic leadership for sustainable development in Africa. The vision of Centre LSD is an African society where there is dynamic, strategic andvisionary leadership committed to sustainable development. The Centre’s mission is to work with forces of positive change to transform society through appropriate leadership, strategy and development approaches. The centre is guided by the values of transparency and accountability; integrity; transformative change; feminism; diversity; dignity of the human person andPan-Africanism. The major focus of work is in the giant of Africa –Nigeria but the centre works across Africa with a Pan-African perspective with partners in all the sub-regions in Africa. The Centres’ strategy, programme and actions focuses on Africa with the operations being run from Nigeria partnering with organisations across Africa. Dr. Kole A. Shettima who hold a PhD in Political Science and currently Africa Director of MacArthur Foundation. He is an expert on human rights, reproductive health, higher education and philantropy. Mrs. Eugenia Abu is a well known broadcaster with a Masters degree in Communication Policy Studies. She is an author and poet. She was the winner of the Flora Nwapa price for best writing in 2008. Dr. Otive Igbuzor is a human rights activist, social entrepreneur, pharmacist and holds a PhD in Public Administration. He is an expert on developmnet issues. He is a fellow of the Nigerian Institute of Strategic Management. Hajia Amina az-Zubair OFR, straddles civil society, private sector and government and has accumulated considerable experience in leading people and managing resources. She is the immediate past Senior Special Assistant to the President on MDGs. She is presently a special advisor to the UN Secretary General on Post-2015 development agenda. Mr. Johnson Ikube is the Group Managing Director of Future Now Plc. He is a result oriented Entrepreneur with experiences in Manufacturing, Banking and Consulting. Dr(Mrs). Ejiro J. Otive Igbuzor holds a PhD in Microbiology. She is an Expert on gender issues, reproductive health and monitoring and evaluation. Mr. Soji Apampa is a business consultant and Executive Director of an NGO, Integrity. He has expansive experience in the private sector and in promotingcorporate social responsibility. He is an author of several books. Mrs. Maryam Uwais is a lawyer and Women and Child rights activist. She is currently a a member of the African Committee of Experts on the rights and welfare of the child. Mr. Jimi Agbaje is a pharmacist, politician and manufacturer. He is very passionate about ethics, habits, professionalism and excellence. Ms. Amina Salihu is a Political Scientist, Gender Activist and Feminist. She has extensive experience in teaching, development work, government, advocacy and capacity building. Dr. Hussaini Abdu holds a PhD in political science. He is an expert in political economy with extensive experience in teaching and international development work. Dr. Jummai Umar-Ajijola holds a PhD in Public Administration and Policy Analysis. She has career experience with government, NGO, international development agency and private sector. The school runs for one year for each batch of students from May-April. Classes are held every third Saturday of the month at the Centre from 10.00am-2.00pm. Apo, P.O. Box 9661, Garki, Abuja, Nigeria. Niger Delta Office: No 1, Ralph Uwechue Way, Off Okpanam road, Opposite Legislative Quarters, Asaba, Delta State. The program will support a global network of emerging and established women leaders who provide unusual and sustainable solutions to pressing problems that have impeded women and girls’ progress to participate fully in society and the economy. Recognizing that in order to advance the causes of women, women themselves must connect with, empower, equip and inspire one another at all levels of society, Vital Voices — with funding support provided by the UK government’s Department for International Development — is committed to helping create a unified response, not just from women’s rights activists and sectoral experts, but also from a wide range of professionals and practitioners across fields and methodologies. The VVLead Fellowship Program is a critical step in this response, offering participantsunique opportunities to exchange information, obtain resources and tools, mentor and be mentored and receive vital training over the course of three years through offerings tailored to meet their needs, goals and objectives. Download the PDF. Vital Voices is seeking applications for the VVLead Fellowship Program from women leaders who are committed to tackling issues related to economic disparities, violence against women and harmful cultural practices — with particular focus on forced/early marriage — in order to create a more prosperous and secure world. Knowing that this work will take many forms, leaders may be engaged in this change through work in a variety of fields including business, non-profit/non-governmental organization, public office/government (elected or appointed), advocacy initiative or community-based organization. ELIGIBLE APPLICANTS MUST BE :18 YEARS OR OLDER;LIVING AND WORKING FOR CHANGE IN A DEVELOPING COUNTRY;DEMONSTRATING HIGH-IMPACT;AND ACTIVELY COMMITTED TO THE PROGRESS OF THEIR CAUSE ON A FULL-TIME BASIS. To apply for the VVLead Fellowship Program, please fill out the online application. The application process should take between 45-60 minutes to complete. All applications must be submitted electronically by Monday, January 14, 2013. Please contact Emma Hersh (EmmaHersh@vitalvoices.org), Program Manager for the Global Leadership Network, with any questions or comments about the program. Call for Applications:MOREMI Initiative Fellowship for Young Women in Africa! Who is the most outstanding young African woman leader you know? Help us find her! Moremi Initiative for Women’s Leadership in Africa (Moremi Initiative) is pleased to announce its call for applications for the 2012 Moremi Leadership Empowerment and Development (MILEAD) Fellows Program- to identify Africa’s most promising young women leaders. The program targets dynamic young women interested in developing transformational leadership skills that help them tackle issues affecting women in their communities and society as a whole- by equipping them with the world class knowledge, skills, values and networks they need to succeed as 21st century women leaders. Applications are welcome from young African women living in Africa and the Diaspora. The MILEAD Fellowship will be awarded to 25 outstanding young women with exceptional qualities who have exhibited leadership potential in their community, organization, and/or profession. To be eligible for the one-year program, an applicant must be African, living on the continent or in the Diaspora; agree to participate in all required activities related to MILEAD- including a three-week residential Summer Institute in Ghana; and commit to a community change project. Applicant must be between 19 – 25 years of age. Specific requirements of the program and related dates are outlined in the application package. Please review program and application guidelines carefully, before completing your application. Please note that this is not a full-time fellowship. Selected candidates may remain full time students or work full time for the program duration, except during the 3–week summer institute. The 3-week summer institute is an intensive and full-time residential program and all fellows will be required to attend. The rest of the program involves community-based, online and other distance activities. We invite you to share this application information with the most promising young African women leaders you know- who have the potential to help transform Africa. How to Apply: Application forms are available online at www.moremiinitiative.org or by request via email. Completed application form must be submitted with two letters of recommendation and CV. All applications and supporting documents must be submitted by email. Application Deadline: March 15, 2012. The deadline for completed MILEAD Fellows applications to be submitted for review is March 15, 2012. If your answer to the above questions is in the affirmative, then you are a candidate for the Centre LSDLeadership School. The school will run for a period of one year (May, 2012-April, 2013) for the fourth set of students. The first set of students graduated on 17th April, 2010. The second set graduated on 14th May, 2011and the third set will be graduating on 28th April 2012. At the school, there are a lot of presentations, group work, interactive sessions, coaching, mentoring and assignments to be supervised by the Faculty but physical meeting takes place every third Saturday of the month from 10.00am-2.00pm. A maximun of forty students will be admited for this session. Participation in the school is free but students are expected to buy textbooks on Leadership(not supplied by the Centre). Certificate of participation will be given to students who complete the necessary attendance (at least 70 percent) and assignments. Interested candidates should send a write up on why they want to participate in the Centre LSD Leadership School and send to Mr. Monday Osasah, Programme Officer, Centre LSD (mon_osasah2003@yahoo.com orinfo@centrelsd.org) to reach him on or before 1st March, 2012. The importance of leadership for the success of organizations and nations cannot be overemphasized. Some scholars have pointed out that everything rises and falls on leadership. [i] Despite this recognition, there is scarcity of leaders all over the world. According to Myles Munroe, the world is filled with followers, supervisors and Managers but very few leaders. [ii] However, it is possible to train leaders. It has been proven that leaders can be trained to become top strategists who will be able to envision the future and help to map out strategies on how to get there. [iii] Additionally, leaders can be trained to manage for success through people, policies, programmes and principles. The African Centre for Leadership, Strategy and Development (Centre LSD) is a non-profit, non-governmental organisation established under Nigerian laws to build strategic leadership for sustainable development in Africa. The vision of Centre LSD is an African society where there is dynamic, strategic and visionary leadershipcommitted to sustainable development. The Centre’s mission is to work with forces of positive change to transform society through appropriate leadership, strategy and development approaches. The centre is guided by the values of transparency and accountability; integrity; transformative change; feminism; diversity; dignity of the human person and Pan-Africanism. Hajia Amina az-Zubair OFR, straddles civil society, private sector and government and has accumulated considerable experience in leading people and managing resources. She is the Senior Special Assistant to the President on MDGs. Mr. Soji Apampa is a business consultant and Executive Director of an NGO, Integrity. He has expansive experience in the private sector and in promoting corporate social responsibility. He is an author of several books. 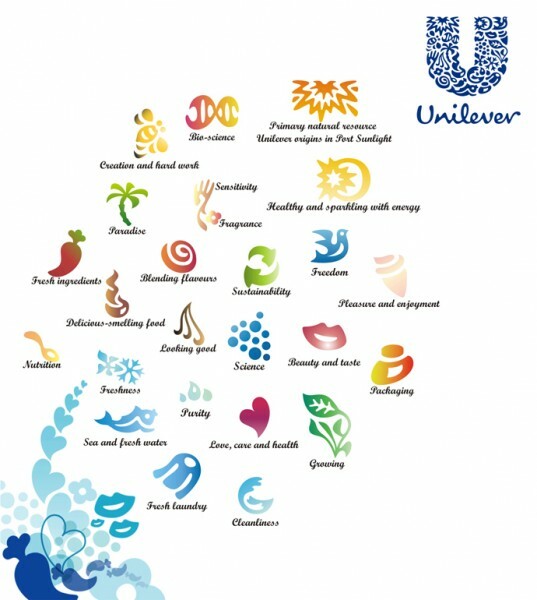 Unilever Nigeria has opened applications for its 2011 Unilever Future Leaders Programme (Graduate Trainee Programme). Young graduates are encouraged to apply. Unilever brands are among the most successful in the fast moving consumer goods industry because the people behind them understand their enormous potential and impact! At Unilever, we work to create a better future everyday and we are sure you will feel the same if you join our Future Leaders’ Programme (Graduate Trainee Programme)! In our Unilever Future Leaders Programme® (Graduate Trainee Programme), we don’t just employ fresh graduates; we offer them world-changing work and international exposure. We give young graduates exciting projects that develop them into managers in just three years. If you make it through our intense recruitment process, you will be exposed to variety of scenarios that will test your skills from the outset. (Just ask our undergraduate interns or participants at our recently concluded Ideatrophy® Championships!). You will also have talented, exceptional colleagues around you; and as a management trainee, this means challenge, freedom and responsibility like you’d never believe! The Unilever Future Leaders’ Programme® is all about harnessing your potential. You’ll come into an organisation where you can make a measurable difference to our business performance. You’ll be encouraged to lead, to suggest, to challenge how we work. You’ll join an environment where you can be creative and be yourself. Our graduate programme recruits the people who will see this business into the future, developing into leaders with a difference.